What is a Vermont Non-Compete Agreement? Vermont Non-Compete Agreement: What Is It? 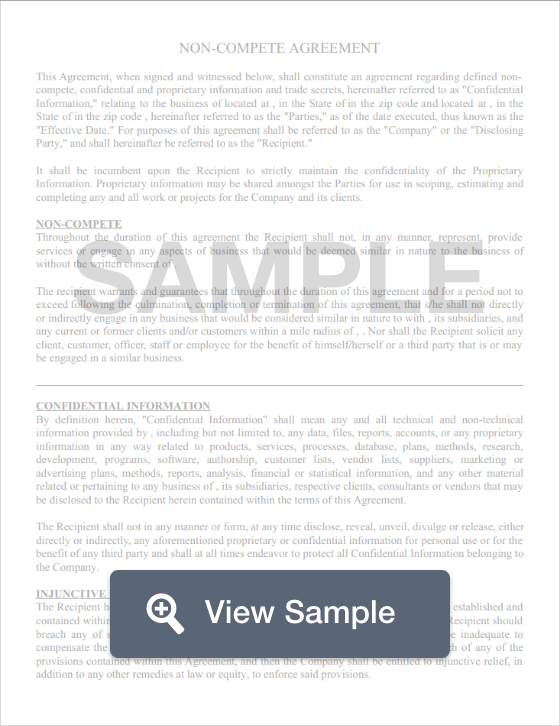 A Vermont non-compete agreement is an enforceable document that employers use to protect their trade secrets by limiting the actions of their employee once they leave the company. Employers do this by having their new hires, contractors, and key personnel sign a non-compete agreement that promises that once the individual's employment ends or is terminated, he or she will not work with any competitors or engage in competitive behavior (for a period of time). Although Vermont doesn’t have specific laws on non-compete agreements, employers are encouraged to be reasonable when drafting a non-compete agreement. These agreements that have been imposed without valuable consideration of the employees time and future employment can be voided by the state.